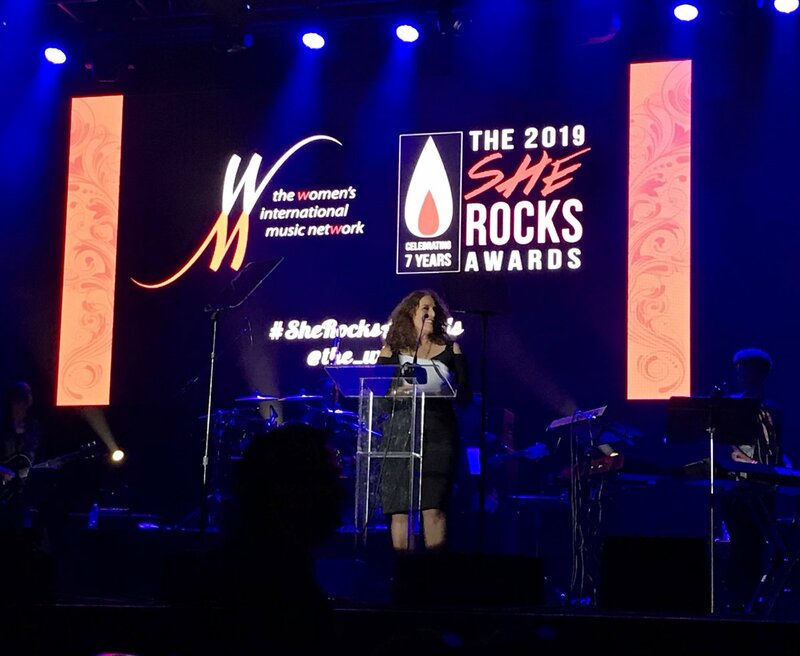 The She Rocks Awards honored Lisa Loeb, Berlin’s Terry, and more at its annual awards at the House of Blues Anaheim on Jan 25, during NAMM. 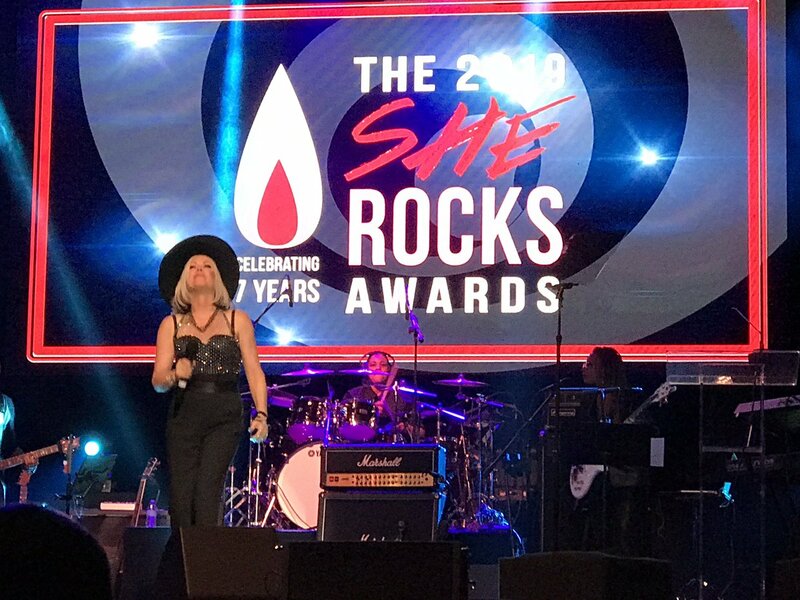 She Rocks Awards is organized by the Women’s International Music Network which connects women in the music and audio industries. 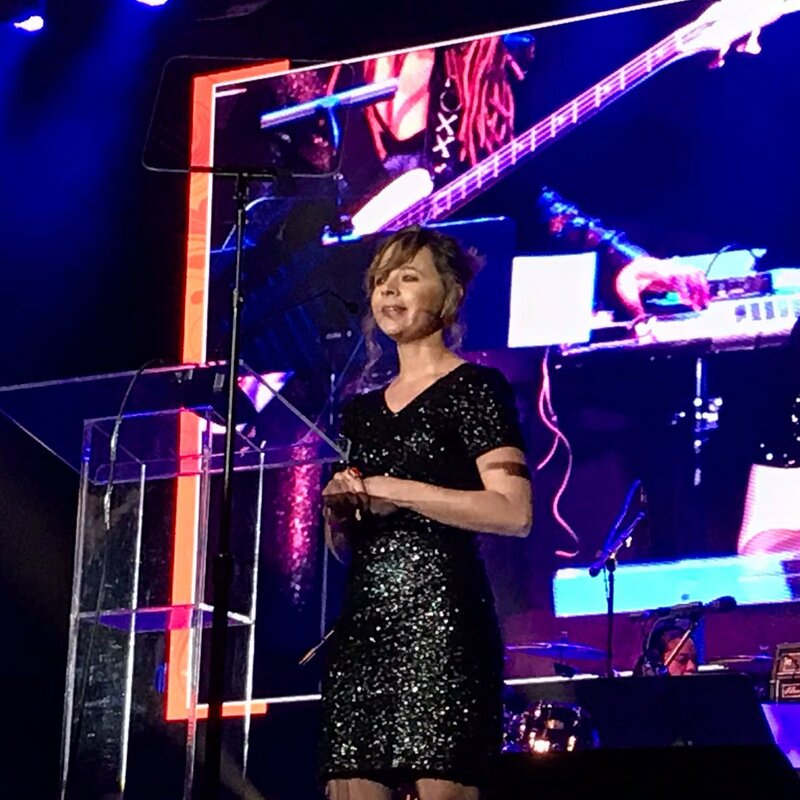 Terri Nunn, lead singer of the band Berlin, performed and won an award. 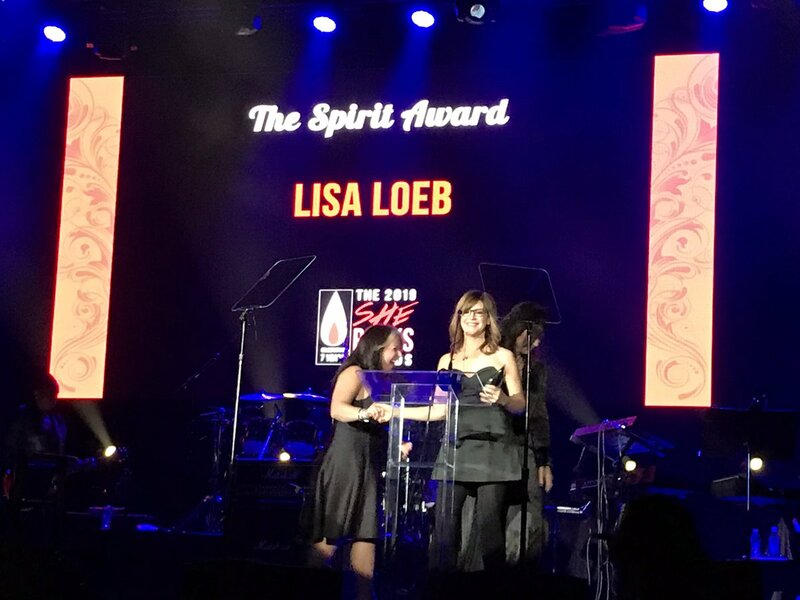 Lisa Loeb won the Spirit Award. She thanked her family, friends, and manager. Lisa said that when she was starting out as an artist, she wanted to be known as just a musician, not a woman musician. But over time, she said she has come to appreciate women-focused music communities. Macy Gray won a top award, but did not attend. 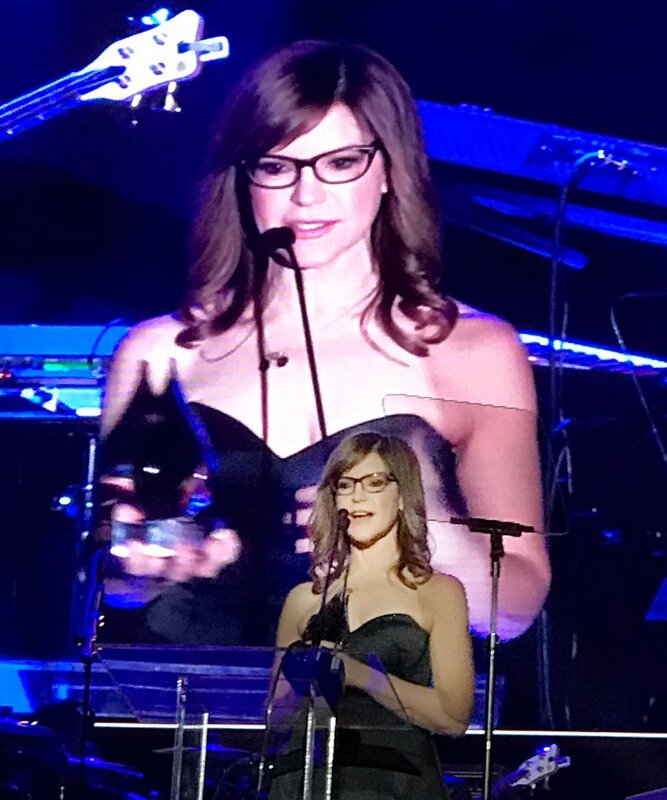 Lynette Sage, art director of the Reverb online marketplace for musicians, won the Innovator Award. Lynette said that as the only woman at her first music company, she often had imposter syndrome despite her degree in art. She said that she has learned to own and embrace her skills in the often male-dominated music and art design world. 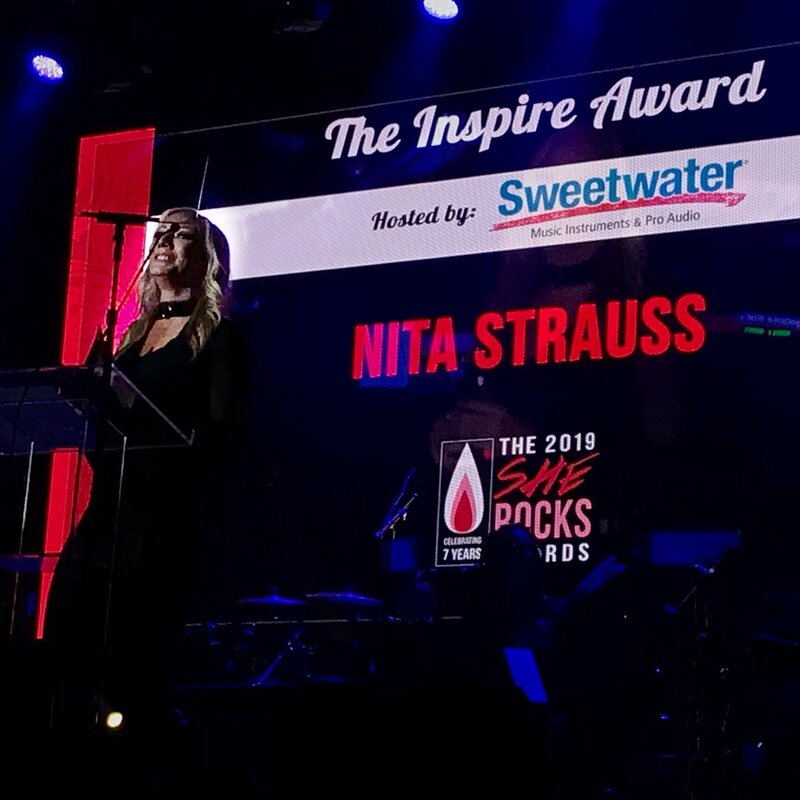 “Standing here today is a really proud moment for me, because not long ago, I felt like an imposter,” Lynette said, accepting award. 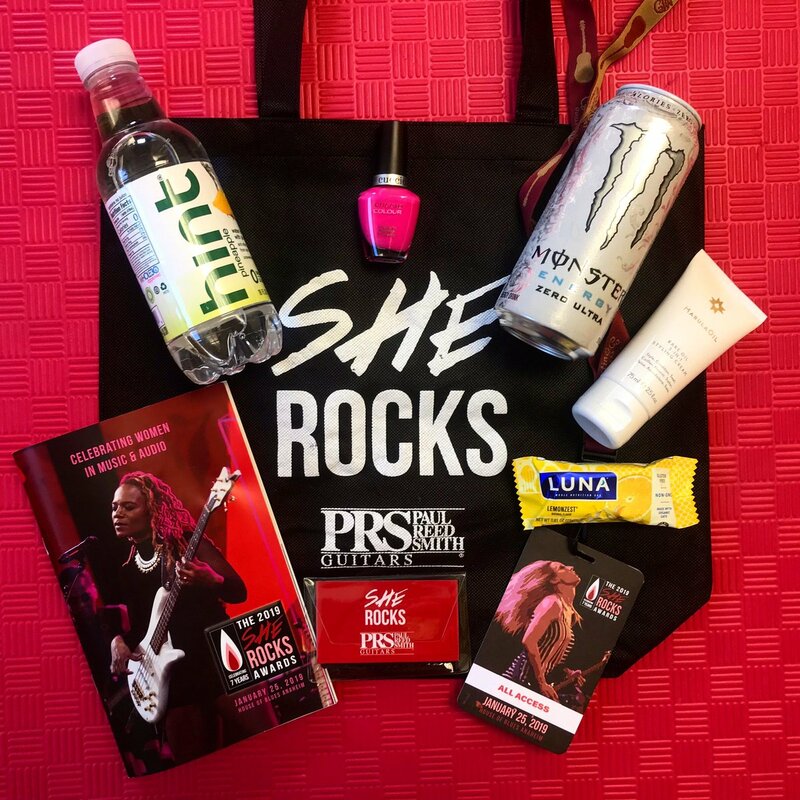 Thank you She Rocks Awards for the terrific gift bag including Monster Energy drink, Hint flavored water, nail polish and more.